Nashville, TN -- Let freedom ring, as Charlie Daniels takes to The National Rifle Association's third season of NRA All Access on The Outdoor Channel to shed light on his diehard passion for guns and rifles, and why he's so committed to protecting America's right to bear arms. Highly noted for his multiple chart-topping hits and stand-out instrumental talent that has catapulted him into international stardom, it's no secret Daniels is also an enthusiastic outdoorsman and longtime friend of the NRA. Tune in this Friday, January 9 at 8:30 p.m. ET to watch. Mt. 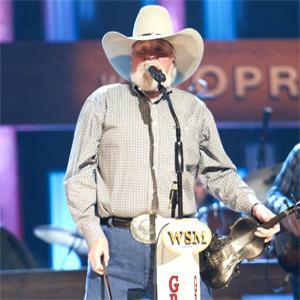 Juliet, TN -- Grand Ole Opry star Charlie Daniels is recovering after having a pacemaker implanted today (3-28), at a Nashville area hospital. During a doctor visit on Monday (3-25), Charlie was diagnosed with a mild case of pneumonia and admitted to the hospital for a series of routine tests. The tests revealed that a pacemaker was needed to regulate his heart rate. 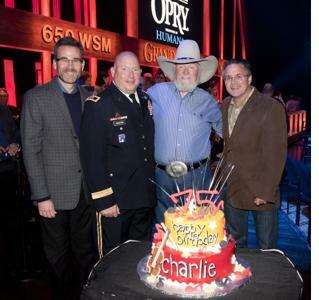 Nashville, TN -- Opry member and country music/Southern rock stalwart Charlie Daniels celebrated his 75th birthday at the Opry this past weekend. During the show, Tennessee National Guard Major General Max Haston promoted Daniels to the Guard's rank of Brigadier General. 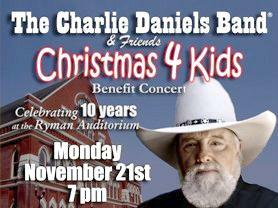 The Grand Ole Opry presented by Humana will throw a 75th birthday party for Opry member and country music/Southern rock stalwart Charlie Daniels during its two shows Sat., Oct. 29. 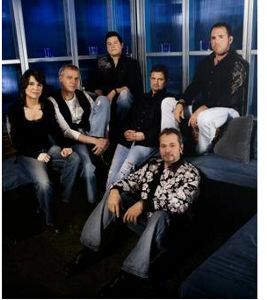 Among those scheduled to participate in the birthday shows in addition to the guest of honor are Opry member Clint Black plus special guests The Grascals, Lee Greenwood, Tanya Tucker, and more.